When do we arrive? – Wen wih ago reach? When do we leave? – wen wih ago leff? When do you arrive in the USA? – wen yuh com a dih usa? When do you get off work? – wen yuh ago leff wuk? When do you start work? 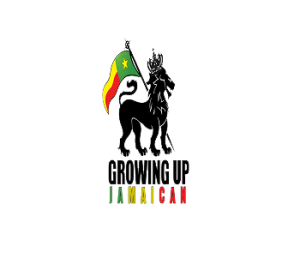 – wen yuh ago staat wuk? When does he arrive? – wen ihm ago reach? When does it arrive? – wen it ago reach? When does the bus leave? – wen di buss aggo leff? When does the plane arrive? – wen di plane aggo reach? When was the last time you talked to your mother? – wen addi las time yuh talk wid yu madda? When will he be back? – wen him aggo com bak? When will it be ready? – wen itta go bih ready? When would you like to meet? – wen yuh wa’h fi meet up? Where are the t-shirts? – weh dih t-shirt dem deh? Where are you from? – weh yuh come fram? Where are you going to go? – weh yuh ago go? Where are you going? – weh yuh a go? Where are you? – weh yuh deh? Where can I buy tickets? – weh mi can buy tiket? Where can I exchange US dollars? – which paat mi can get us dolla? Where can I find a hospital? – wich paat mi cyaan fine di haspital? Where can I mail this? – weh mi cyaa mail dis? Where can I rent a car? – weh mi cya rent waah cyar? Where did it happen? – which paat ih happ’en? Where did you go? – weh yuh did go? Where did you learn English? 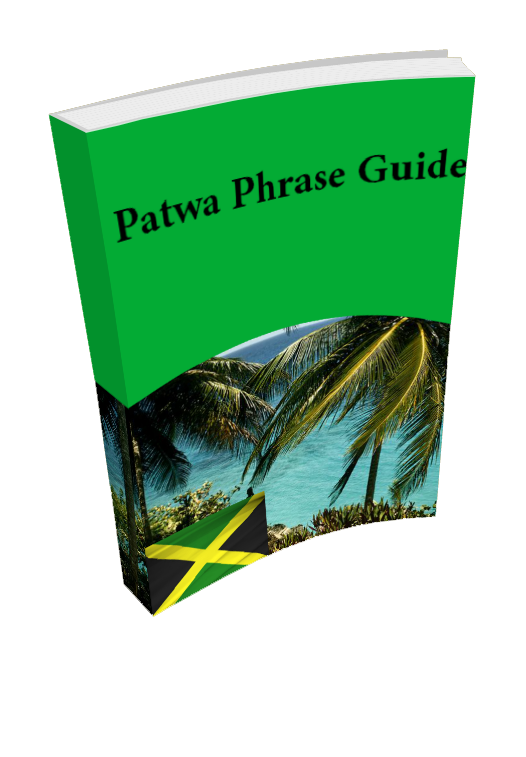 – which paat yuh learn english? Where did you learn it? – wich paat yuh learn dat? Where did you put it? – weh yuh put ih? Where did you work before you worked here? – weh yuh wuk before yuh wuk yasso? Where do you live? – weh yuh did live? Where do you want to go? – weh yuh wa’an fi go? Where do you work? – weh yuh wuk? Where does it hurt? – which paat a hat yuh? Where does your wife work? – weh yuh wife wuk? Where is an ATM? – wich paat wa’ah atm deh? Where is he? – weh him deh? Where is it? – weh it deh? Where is Main Street? – which paat main street deh? Where is my shirt? – weh mi shirt deh? Where is she from? – weh she com fram? Where is the airport? – weh dih airport deh? Where is the bathroom? – which paat di baatroom deh? Where is the bus station? – weh di buss station deh? Where is there an ATM? – weh waah atm deh? Where were you? – weh yuh deh? Where would you like to go? – weh yuh waa’n go? Where would you like to meet? – weh yuh waa’n fi meet up? Where’s the closest restaurant? – weh di neares restarant deh? Where’s the mail box? – weh di mail bax deh? Where’s the nearest hospital? – weh di nearess haspital deh? Where’s the pharmacy? – weh di farmacy deh? Where’s the post office? – deh pos affice deh? Which is better, the spaghetti or chicken salad? – which one betta, chicken salad arr spaghetti? Which is better? – which betta? Which is the best? – wich one a di bess? Which one do you want? – wich one yuh want? Which one is better? – wich one betta? Which one is cheaper? – wich one cheepa? Which one is the best? – wich one a di bess? Which one? – wich one? Which road should I take? – wich road mi fi tek? Which school does he go to? – wich skool him go? Who are they? – who dem bih? Who are you looking for? – who yuh a look fa? Who are you? – a whoo yuh bih? Who is it? – a whoo dis? Who is that? – a whoo dat? Who sent this letter? – whoo sen disya letta? Who taught you that? – a who teeh yuh dat? Who was that? – a who dat? Who was your teacher? – who yuh teecha did bih? Who won? – a whoo win? Who would you like to speak to? – a who yuh wa’n fi talk to? Who’s calling? – a who a call? Who’s that man over there? – a who dah man deh ova desso? Whose book is that? – a whoofa book dat bih? Why are you laughing? – wamek yuh a laugh? Why aren’t you going? – wamek yuh naah go? Why did you do that? – wamek yuh do dat? Why did you say that? – wamek yuh seh dat? Will you call me a taxi please? – yuh cya call waa taxi fi mi? Will you hand me a towel please? – yuh cya gimme di towel? Will you pass me the salt please? – yuh cya gimme di salt? Will you put this in the car for me? – yuh cya put dis inna di cyar fi mi? Will you remind me? – yuh wih remine mi? Will you take me home? – yuh cya tek mi home? Would you ask him to call me back please? – yuh cya ask him fi call mi bak? Would you ask him to come here? – yuh cya ask him fi com yah? Would you like a glass of water? – yuh want a glass a wata? Would you like coffee or tea? – yuh want kaffi ar tea? Would you like some water? – yuh waa’ suh wata? Would you like some wine? – yuh waa’ sum wine? Would you like something to drink? – yuh waa’ sumting fi jink? Would you like something to eat? – yuh waa’ sumting fi it? Would you like to buy this? – yuh waa’ fi buy dis? Would you like to go for a walk? – yuh waa’ fi guh pon a walk? Would you like to have dinner with me? – yuh waa’ fi it dinna wid mih? Would you like to rent a movie? – yuh waa’ fi rent waa’ movie? Would you like to watch TV? – yuh waa’ fi wach tv? Would you like water or milk? – yuh waa’ wata ar milk? Would you take a message please? – yuh waa’ tek waah message?